Monster S14-4R CL THX Certified Speaker Cable!!!! Monster Standard UL CL3 speaker cable is THX-certified to ensure the best, most reliable home theatre performance. 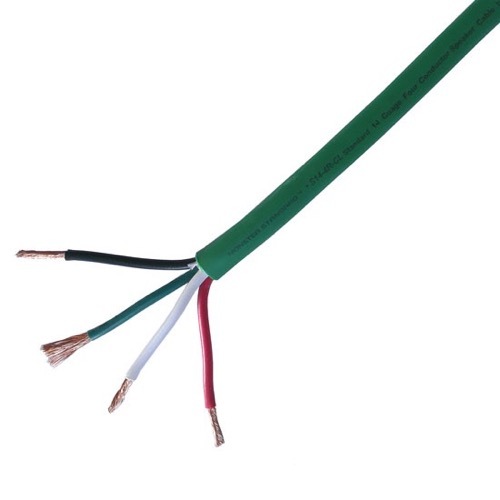 The four-conductor CL3/FT4 rated speaker cable allows for in-wall installation. Its twisted-pair construction gives necessary rejection from outside interference. The flexible low-friction jacket offers an easy installation. EZ-Strip ripcord allows for quick, easy jacket removal. All this with Monster quality in a low-cost design and even with sequential foot markers. Sold by the foot.